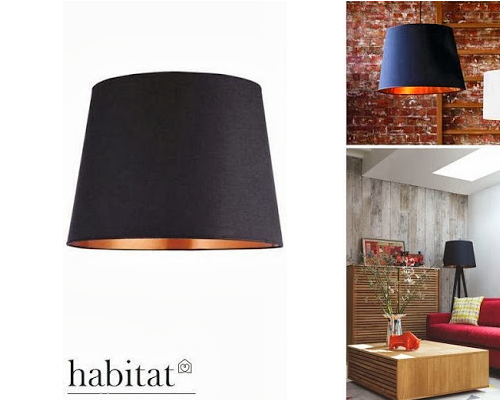 The lamp shade is black on the outside and has a copper foil interior. As you might have noticed I am all into copper and black at the moment! The lamp can be used both with a table or floor lamp base or as a ceiling shade. Good luck! A winner will be announced in two weeks!